Manchester City and Chelsea could reportedly compete for the services of Arsenal midfielder Jack Wilshere at the end of the current campaign. The England international has just eight months left on his present deal, and talks over an extension are yet to progress. Wilshere, 25, spent the previous campaign on loan with Bournemouth where he impressed before sustaining a season-ending injury in April. The playmaker has since managed to impress Arsene Wenger in training, and he is presently a regular for the Gunners in the League Cup and Europa League games. West Bromwich Albion defender Jonny Evans is reportedly prepared to snub advances from Arsenal in order to pursue a move to Manchester City. The Northern Irishman has been linked with a potential big-club move this summer following his impressive showing for the Baggies over the past two seasons. Evans, 29, currently has two years left on his Baggies contract, but he has yet to reopen talks over a suitable extension amid the uncertainty over his future at the Hawthorns. According to The Mail, the former Manchester United graduate is expected to knock back a late approach from the Gunners with the Citizens having courted their interest earlier in the summer. Pep Guardiola’s side have already failed with a £18m bid for the centre-back this month, but they are expected to up their bid significantly to come close to the Baggies’ £30m valuation. The clock signaled injury time and in that moment Sergio Aguero somehow managed to skip past Bailly, flick the ball across David de Gea’s goalpost for Gabriel Jesus to tap in and wriggle away towards the stands, chased by his team mates until the linesman cut short their joy. As it turned out, the Brazilian youngster was offside by a fraction thus was denied the fairytale of the 20-year old who came back from a supposed season-ending injury to score a 90th minute winner against archrivals Manchester United; at least not yet. Not to worry though, he only waited three more days to get a slice of such ecstasy courtesy of his 85th minute equalizer against Middlesborough to keep The Citizens’ hope for a top four finish alive. 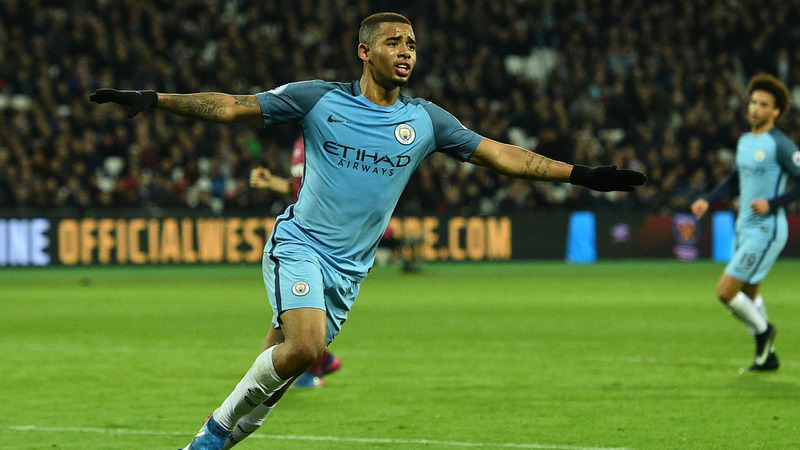 Manchester City striker Gabriel Jesus said on Wednesday that he had been “surprised” by his extraordinary start to life in the Premier League. The Brazilian forward who has scored three goals in four games since completing his 27 million move from Brazilian side Palmeiras, has admitted that he is delighted with his strong start for the club, but is ‘very surprised’ at how fast it has happened. The 19-year old rising star arrived in England last month after City agreed a deal with Brazilian side Palmeiras in pre-season. While some overseas players take time to adjust to the physicality and pace of the Premier League, Jesus has settled in immediately with three goals in four appearances, including a double in Sunday’s 2-1 win at home to Swansea. 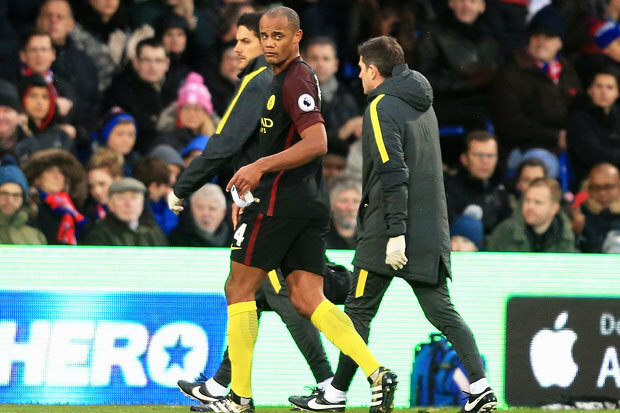 Pep Guardiola has confirmed that defender Vincent Kompany still remains in his plans despite the numerous injury problems faced by the Belgian international. The last time the 30-year-old made more than 40 appearances in a single campaign across all competitions was back in the 2011-12 campaign. Since then, he has been plagued by a one injury after the other and it has especially become worse in the last couple of seasons. He made only 22 appearances last season and most were as a substitute, while the season he has suffered featured in only five games. Kompany was expected to be an integral part of the Guardiola regime considering that he is one of the top ball-playing centre backs around. However, his injury concern is a major problem for the club considering that they have been struggling on a defensive front with the leadership skills of the Belgian. Manuel Pellegrini believes that finishing in fifth spot of the Premier league will be a disaster come true for Manchester City. The club were regarded as title contenders at the start of the campaign, but inconsistent form throughout the season has seen them slowly slip out of title contention. Now, they are in a position where they could realistically miss out on Champions League qualification for next season. They are fourth in the table, but Manchester United have reduced the deficit to City to just one point with two games left. City, worryingly, take on Arsenal away from home. The gunners will be able to seal the third spot, which will guarantee automatic qualification to the Champions League, with a victory against City. This will be the foremost aim of Arsene Wenger’s team and it will not be easy to play against them at home. United seem to have the momentum and are favourites to win the remaining two matches. City have allowed themselves to be in this position after prioritising the Champions League semifinals over the league. Pellegrini, who will leave at the end of the campaign, seems to have desired going out on a high rather than ensuring top four finish since it will no longer be his problem come the end of the campaign. “If you are not in the top four and in the Champions League the next year, to demonstrate you are one of the best teams in England, then for me it’s a disaster of a season.That’s why I always said last year, when we didn’t win any titles, that it was not a disaster. It was not a good season but a disaster is when you are not involved in the next season’s Champions League. That is a disaster for all the big teams,” saidPellegrini. Liverpool’s disappointing start to the campaign went from bad to worse after a 1-1 draw against Norwich City at Anfield. The club has scored only four goals in the league so far while managing only two wins from the opening six games. This disappointing run of form is already threatening to result in manager Brendan Rodgers losing his job. There has to be a quick turnaround of results, but Liverpool are in a dire situation and it will take a lot of effort to get a win with such low levels of confidence. However, first-team coach Gary McAllister believes that the discontent from fans will certainly help infuse some fighting spirit in the squad.